Electric car technology must be shared for the battery-powered vehicles to have a chance to go mainstream, members of a panel on EVs agreed. BILBAO, Spain – Sustainable success for electric vehicles only will happen with better collaboration, a panel of EV experts told the Automotive News Europe Congress last week. "If we don't share technology and architectures, the breakthrough for EVs will be much slower than any of us want," said Herbert Demel, executive vice president Magna International Inc. "We will change the world. How fast we do this is the open question." 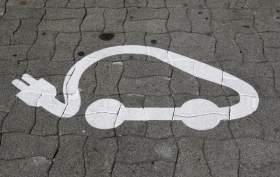 There have been some positive signs that companies are willing to work together on EVs. Toyota Motor Corp. and U.S. electric car maker Tesla Motors Inc. have said they may cooperate on electric-vehicle development, though they haven't signed an agreement to do so yet. Toyota plans to buy a $50 million stake in Tesla, which on June 28 became the first U.S. automaker to launch an initial public offering since Ford Motor Co. went public in 1956. Daimler AG bought nearly 10 percent of Tesla last year. Two months later Daimler sold 40 percent of that stake to its major shareholder, Abu Dhabi-based Aabar Investments. Daimler and Aabar said the reason for the deal was to gain access to Tesla's electric car expertise. Starting this year, Tesla's lithium ion battery is being used to power Daimler subsidiary Smart's test fleet of ForTwo electric minicars. Tesla vice president of European sales and operations Cristiano Carlutti told the Congress that this type of collaboration is crucial for the future of EVs, and it proves to him that Tesla will have a place in market for years to come. "We have a scale advantage when it comes to the batteries," he said. "That is where we can separate ourselves. We want to take our technology mainstream." Richard Canny, CEO of Norway-based electric carmaker Think, told the Congress that his company has seen great interest in its electric drivetrain. Think's first potential customer for the technology is the Japanese postal service, which is testing Think's system to determine whether to use it in its planned fleet of 22,000 delivery vehicles. Peter Fuss, Ernst & Young's automotive leader for Germany, Switzerland and Austria, told the Congress that there is another partner that should be part of all future EV discussions: "We need much more cooperation between automakers and utility companies." Some early examples of this type of partnership include Daimler's infrastructure agreement with German energy provider RWE AG and Renault SA's alliance with power companies Enel of Italy and Endesa in Spain. Fuss summed up the panel's feelings on the future for electric cars when he said: "We need to look at what is achievable and not expect everything to happen immediately. We are at the beginning of the discussion, not the end."